Take a look at the cat snuggled in your bed or the dog lounging on your sofa, and it’s hard to believe that just a few thousand years ago these were wild animals. Dogs were gray wolves that roamed Europe and Asia, sniffing out prey and tearing carcasses apart. Cats were wildcats, slinking through the deserts of the Middle East and eking out an existence on rodents, birds, and reptiles. Somehow, someway, the genes of both animals changed enough to turn them into the lovable pets we know today. Now scientists are finally getting a glimpse of what some of those changes may have been. 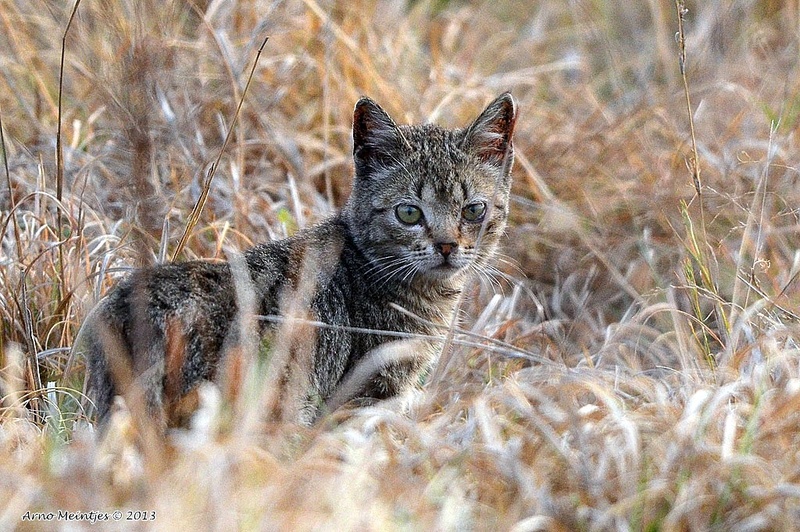 In a study published last week in Proceedings of the National Academy of Sciences, a team of researchers reports finding a handful of genetic modifications that may have turned the wildcat into the housecat. Many of these changes are in genes you would expect: those tied to things like fear, memory, and the ability to learn new behaviors when given a food reward. After all, in order for wildcats to become kitty cats, they had to become less afraid of people and learn to live with them. This likely happened around 10,000 years ago, scientists believe, as the first wildcats entered early farming villages to hunt rodents that that were feasting on our grain. These felines wouldn’t have lasted long if they couldn’t adapt to life with humans. The researchers spotted other genetic changes as well. Some of the most intriguing are found in genes that influence the migration of so-called neural crest cells. These cells, which are present in the developing embryos of many animals, dictate everything from skull size to coat color. Recently, scientists have proposed that they may be the master control switches of domestication. They may explain why all domestic animals—from cows to dogs—share certain traits, such as smaller brains and more frequent mating cycles than their wild counterparts. The new cat study provides the first evidence to support this hypothesis. And so, by taking a closer look at the cat genome, we are a step closer to understanding the domestication of all animals. We are finally beginning to crack the code of what it takes—over the course of thousands of years—to transform a creature from wild to mild. But a lot more work needs to be done, especially when it comes to cats and dogs. These two animals haven’t just been domesticated—they’ve become members of the human family. And that must have taken some amazing genetic changes indeed.